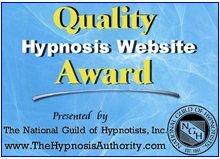 It's easy enough to understand how you can receive a post hypnotic suggestion when you are having a session with a professional Hypnotist. For example, the Hypnotist could suggest to you "that every time you see the colour red after you leave my office your confidence to succeed will grow stronger." But how do you do this effectively in self hypnosis? Good question, after all you want to be as efficient and as effective as you can with the time you invest in your session. Today we look at one way of how to give these important suggestions. First let's define what is meant by a post hypnotic suggestion. Quite simply, it is a suggestion established during hypnosis that will go into effect after your self hypnosis session is over. Another example of such a suggestion would be, "Whenever I say or think the sentence, I concentrate completely on my work as soon as I sit down at my desk and say "Study now" (This of course is a great use of hypnotic suggestion for students). Well, the first key to success is not to "tell" it to yourself during hypnosis as if you were the hypnotist. Rather, you develop ways of imagining the suggestion to yourself. Your subconscious mind is far more receptive to you imagining. Talking to yourself tends to disrupt the process. 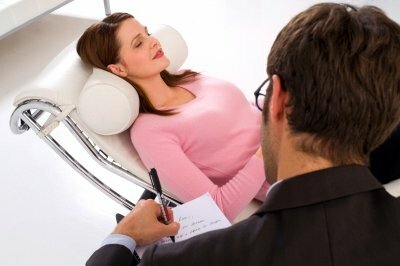 Here is one way of doing this effectively in a self-hypnosis session. 1. Write down the suggestion, or suggestions, that you want to give yourself on a sheet of paper. Make sure to edit the suggestions along the guide lines given in a previous edition of the bulletin. 2. Neatly fold the paper on which the edited suggestions have been written. 3. Now, hold the folded paper in one of your hands during your self hypnosis session. The folded piece of paper acts as a trigger for the suggestion to be accepted by your subconscious mind. 4. After your self hypnosis session use the key sentence contained in the suggestion to test your subconscious mind's response to it. If the effect is not quite to to your liking then repeat the exercise. Persistence will bring its rewards.